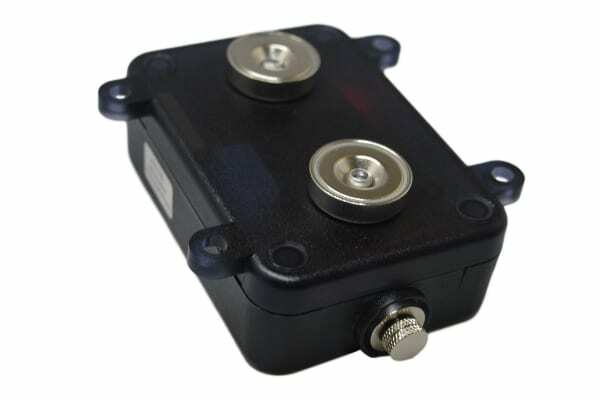 The GPS Avenger is the latest addition to our magnetic vehicle trackers that uses a dedicated tracking platform website. This superb unit provides comprehensive ‘live’ and historical tracking functionality without the need for specialist software makes it accessible from all web-connected Smartphones, Tablets and Desktop computers. A professional, but easy to use surveillance tracking device. 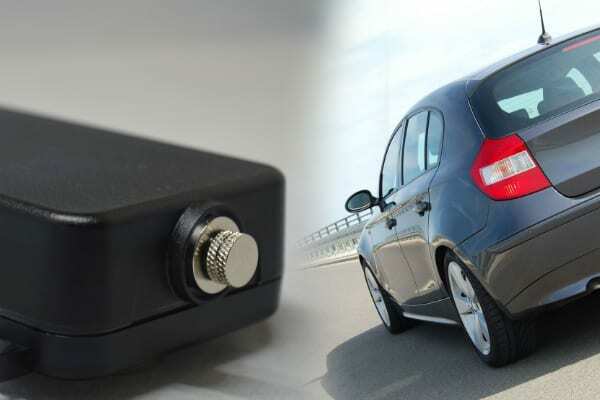 The GPS Avenger is an excellent magnetically deployable vehicle tracker that couples superbly put together GPS tracker hardware together with a robust tracking website with secure access available from any web-connected device. This GPS Avenger is the ideal choice for customers who want a professional and feature-rich piece of tracking technology. The majority of available GPS tracking devices obtain accurate updated locations from GPS satellites orbiting and beaming down global positioning signals to the Earth surface. As a general rule this is a more than satisfactory method to keep a track of vehicles, plant, machinery and other moveable structures. However, GPS can sometimes fail especially when the tracked asset does not have a direct view of the sky, for example when a vehicle enters a multi-storey car park or plant/machinery is put into covered transport. What makes our tracking devices different is that they have cell location tracking technology to back up the advanced GPS system. If GPS transmission is not available, but the device still has a mobile phone signal, then a location (in the form of a location circle) can be displayed on the tracking console map within which the unit will be positioned. As soon as the GPS Avenger can lock onto the GPS signals again, then the more accurate pin-point location icon will again replace the cell location based circle. The tracking technology is fully protected, sealed within a tough water and dust resistant case that is designed to shield the internal electronics from environments such as the underside of a vehicle in all weather. To keep the casing completely weatherproof the GPS Avenger does not have a on/off switch. This also means that the unit cannot be accidentally switched off. The unit simply powers down when connected to its charger cable, so is best stored with charger connected (even if not charging at time). The charging port has a waterproof sealed plug when deployed. The GPS Avenger can be easily placed under any vehicle thanks to the attached magnets with excellent pull strength to keep it safely attached. If magnetism is not an option, due to the vehicle underside being fully sealed in plastic for example, then the tracker’s case can still be attached in a number of different ways by using the four incorporated flanged holes. The GPS Avenger has a shallower profile to the GPS Evolution which means it is the preferred choice for sports cars and similar vehicles that naturally sit lower to the road surface. The GPS Avenger has an onboard movement sensor that allows the device to power down into sleep mode when it has not been on-the-move for more than 5 minutes. 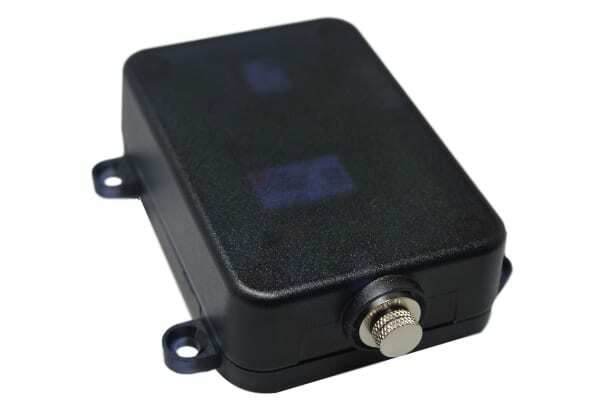 And unlike many other vehicle tracking devices, this GPS device has a very low power consumption whilst in operation. It has a rechargeable 5200mAh battery, so after a full charge of the internal lithium power pack, the tracker can be used for up to 3 weeks operationally or up to 18 months on pure standby (Battery life times are based on a vehicle moving for approximately two hours per day). In addition, in order to ensure that the battery doesn’t expire during a deployment there is the facility on the tracking panel to monitor the battery life status. 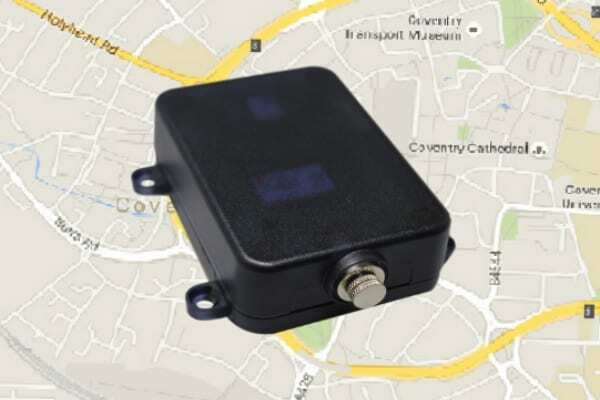 The GPS Avenger is supplied, as standard with an active Vodafone Prepay SIM card (with £10.00 credit on) for transmitting its positional data. This allows for real-time locations to be reported back to the tracking panel. On average £10.00 credit should last for between 7 to 10 days when a tracker is on a vehicle moving approximately 2 hours per day. As a real cost-effective alternative we also offer an unlimited cross-network SIM Card for UK / EU providing extremely reliable and limitless tracking. These UK /EU Unlimited SIM’s are similar to a contract SIM in that there is no need to check credit levels or top anything up. They are able to roam across the Vodafone, EE and O2 networks meaning that they will rarely lose touch. Unlimited SIM cards are available for UK and EU customers only. Should you wish to use the tracking device outside the UK and EU, then it will be possible for the Spy Equipment UK technical staff to install an international SIM card. If this is required then this requires advanced planning and preferably a phone call to the Spy Equipment UK sales team. Many tracking devices available have ongoing running costs in the form of ‘tracking credits’ in addition to adding credit to the tracker’s SIM card. This normally means that regular payments have to be made to keep ‘tracking credits’ topped up to ensure that the location information from the tracking device remains accessible on the tracking panel to which it is linked. This system can prove very costly over time. The GPS Avenger has an annual subscription fee for use of the FutureTrack panel, however no additional tracking credits are required and the first 12 months panel fee is in fact included in the tracker purchase price. This means that only the SIM card credit needs to be considered if using a Prepay SIM and if using a UK unlimited SIM, there are no hidden extras or pitfalls to consider whatsoever for 12 months! The GPS Avenger operates on Spy Equipment UK’s web-based tracking console called FutureTrack. FutureTrack is a password protected, web based tracking console with comprehensive facilities that includes screen auto-refresh (every 30 seconds), geo-fencing, email movement alerts and multi-device monitoring/control. The mapping is extremely sophisticated utilising Google Maps including Google Street-view. FutureTrack can easily be viewed on any Internet-enabled mobile phone or tablet providing real-time monitoring on the move. To preview the features available on the tracking console please click on the FutureTrack link and enter the below demo account details. If you need a really well engineered robust, effective and easily deployable GPS tracking device that has detailed ‘real time’ and historic monitoring facilities then the GPS Avenger is really worth serious consideration. With excellent battery life, a low profile together with different SIM types available, as well as the option to use the device on an international deployment (sometimes prior setup maybe required), then it is easy to see why this unit should be contemplated by those wanting a professional investigatory tracking solution. Can this tracker be placed right underneath the body of a car or other moveable asset? Yes. After the device has been able to get a GPS positional fix, then it can be deployed right underneath out of sight. How strong are the magnets? Is there possibility that the unit could drop off? The two magnets have a very good combined pull strength. Bear in mind that the unit weighs much less than half a kilogram so as long as it has been securely attached at time of deployment then there should be no chance of it ever ‘falling’ off. What can I do if the car on which I wish to put the tracker has a complete plastic underbody? The tracker casing has four holed lugs that form part of the casing that enable alternative fixing to the underside using cable ties or some other fixing method. Is the tracker completely waterproof? The GPS Avenger is certainly designed to be weatherproof and is ideally suited to underside deployment on a vehicle. The casing is sealed in a way that prevents water and dust ingress and although the tracker could not be dropped into a bucket of water and remain completely dry within, although this really is not what is required anyway. How accurate are the locations provided by the vehicle tracker? This will depend on a number of factors including what type of area the tracker is in at the time that it sends out locations. If there are tall buildings then GPS reflection off these buildings can reduce accuracy a little. However, generally the devices are accurate to within about 5 metres. If there is no GPS then a circled area will show on the platform map that is based on proximity of the tracker to mobile phone base stations. If I want to know when the tracker enters or exits a certain area, then is there a way that I can be notified? Yes. This is known as a Geo-Fence alert. You or several people can be alerted by email each time the tracking device enters or leaves a preset geofence area. Can I set the size and shape of the geofence alert area myself? Yes, this is a simple process that can be set through the tracking panel and email addresses to be notified can be set here too. Each tracker requires an annual licence fee to be paid. This fee has to be paid upon purchase and if you wish to continue using the service after the 12 month period then £65.00 + VAT (£78.00) will be payable. If you select the Unlimited UK / EU SIM card option then this provides unlimited tracking service in the UK for a 12 month period. If you intend to use the tracking service outside UK and EU borders then the Unlimited SIM fee WILL NOT cover this eventuality and you must contact Spy Equipment UK to discuss arrangements for this. The Unlimited SIM fee is payable upon 12 months of issue unless you decide not to continue the service at this point. If you decide not to continue the Unlimited SIM service or pay your licence fee at the 12 month expiry period, but decide to resume at a later date, then you will have to contact Spy Equipment UK to make arrangements for this. We use Vodafone Pay as you go SIM cards in our tracker units that customers have selected the PAYG option. The customer is responsible for keeping this SIM card topped up. Typically with a vehicle traveling maybe 2 hours a day £10.00 credit on the SIM will last around 7 to 10 days. Spy Equipment UK have no control over Vodafone PAYG SIM operation. It should be noted that if a PAYG tracking unit is left unused for an extended period of time (over 2 months) then Vodafone may discontinue the SIM because no credit is being used. If this is the case then even if the tracker is not being used for a particular job, it is worth switching it on and taking it for a short drive to use a minor amount of SIM credit thereby keeping the SIM active. If you intend to use the tracking device permanently outside the UK and EU then you will need to contact Spy equipment UK to make arrangements for an active international SIM to be fitted in the tracker. This allows for testing of the unit and for sealing the unit after testing prior to despatch.